5 Fun Reasons to Shop at a Thrift Store – #3 COSTUMES! For people who favor shopping malls and department stores, a Thrift Store may be a little scary. After all, the clothing items are used and there’s no telling who wore them or what they were doing when they did so. The fact is the clothes in thrift stores are all inspected to make sure they’re in good enough shape to go on the rack, so you don’t need to worry about threadbare or tattered items. Thrift stores also offer a bounty of second hand furniture, toys and games, old records and appliances. Playing Dress Up – If you have a little closet space or a spare trunk, save whatever items you get from the thrift store each year and you’ve got the beginnings of a good costume collection to mix and match with. Have you ever been stuck on October 30th with an impending Halloween party looming and no ideas for a costume? Are you struggling to find the perfect top for the tacky sweater party during the holidays? This is where a thrift store can really save the day. All you need to do is venture inside and take a look around. Period clothing is plentiful at thrift shops, so you should be able to locate anything from a nice 70s leisure suit to the makings of a pirate costume. And let’s be honest; thrift stores can be a gold mine for some tacky clothes to win you the top prize. You’ll also save a bundle by avoiding the costume shop for an expensive one-night rental. If you’ve Never tried shopping in a thrift store, or not for clothing anyway, Or if you’re a regular pro – here’s a little incentive to shop for costumes / clothing with us! Just show us this coupon on your smart phone (or print it if you’re smarter than your own phone) to receive $5 off a purchase of $25 or more of clothing! Thanks for reading our blog, tell us about your best THRIFT costume / clothing finds! 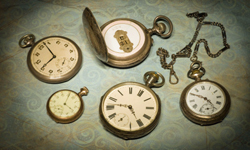 5 Fun Reasons to Shop at a Thrift Store – #2 RARE FINDS! If you’re a shopper that gets a little thrill from scoring that rare find, then you’re missing out if you don’t check out the wares at your local thrift store. That’s the only place you’re going to find that gently-used fondue set from 1976. Or that 1950s tailor-made suit that fits you like a glove. Are you a record collector? A thrift store could be where you could find that original Beatles LP that the owner didn’t even realize they were donating. Just remember the old maxim: One man’s trash is another man’s treasure! Did you know…. We have Hundreds of Vinyls (records) In Stock and we regularly Add to it? Lately, your 1st choice is on Wednesdays but if you haven’t seen them lately, they’re All New 2 You! May 01 2015 Starbucks: Frappuccino Happy Hour Starts Today & a Special Deal from Us too! Doesn’t that look yummy?! Head to your favorite Starbucks starting TODAY for frappuccino happy hour! Between 3 and 5 pm we can score a half priced frappuccino thru 5/10. Be sure and check with your location ahead of time to make sure they’re participating. 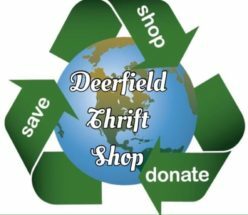 Closest to Deerfield Thrift: US 1 & Hillsboro Blvd | Starbucks Coffee Company – Deerfield Beach & we called, Yes, they are participating! Find a Starbucks near you here.